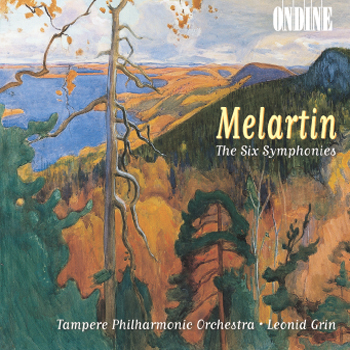 This triple CD contains the six symponies by Erkki Melartin, performed by the Tampere Philharmonic Orchestra under the direction of Leonid Grin. Soprano Pia Freund, mezzo-soprano Lilli Paasikivi and contralto Laura Nykänen are featured in the Andante to the popular Fourth Symphony ("Summer Symphony"). Erkki Melartin, whose birthdate and year of death coincide exactly with those of Maurice Ravel, regarded the symphony as holding the central place in his oeuvre. He composed his six symphonies more or less in parallel with Sibelius, although the works rather bear the stamp of Gustav Mahler - as a conductor, Melartin lead the first performances of Mahler's music in the Nordic countries. Melartin was also influenced by impressionism and expressionism.